Last week we discovered that gummy bears don’t dissolve, but instead get bigger when you leave them in water. 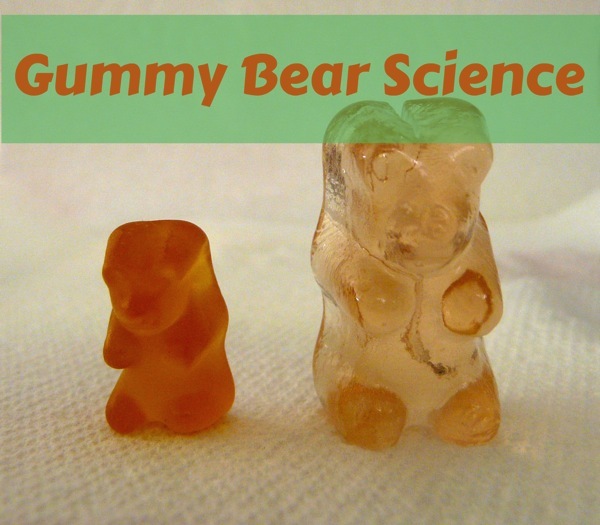 This week we decided to extend our gummy bear science lab see what happens when you leave them for a bit longer. J(8) wondered if the same would happen with jelly babies (a popular British sweet, a bit like gummy bears but with a harder outside). We placed our gummy bears and jelly babies in separate glasses of water and left them for a week (but twenty-four hours would do). We put them in the fridge, to minimise bacterial growth, in anticipation of a taste test. We used our senses to examine our gummy bears and jelly babies. 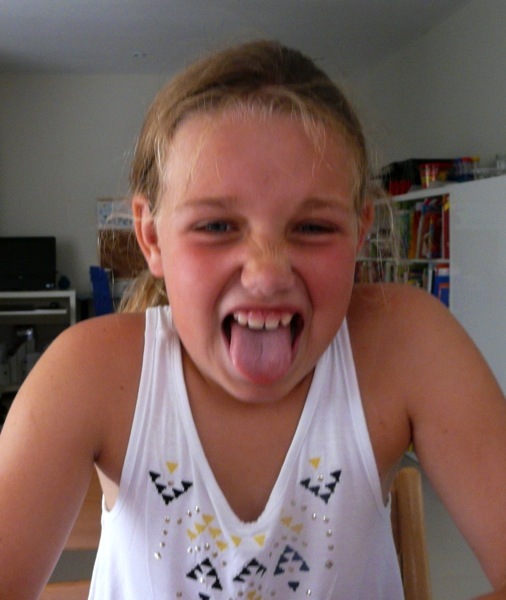 They didn’t TASTE good at all! 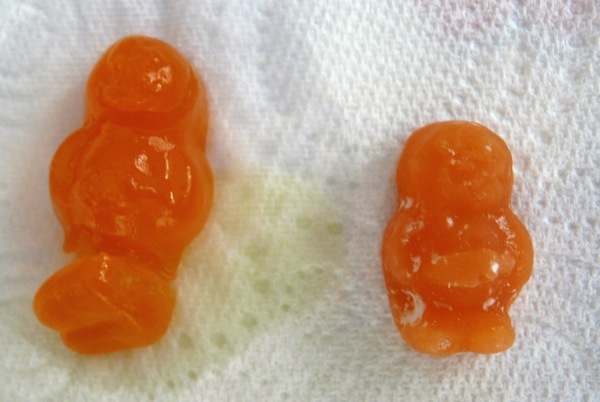 Gummy bears and jelly babies contain water with lots of other things dissolved in a concentrated solution. 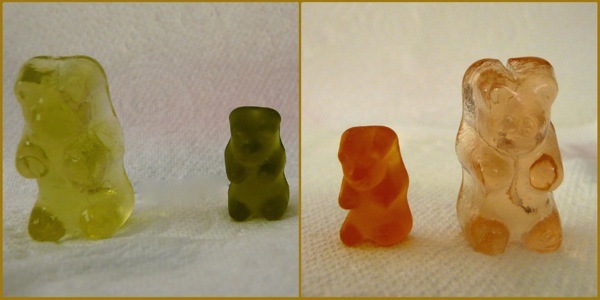 The water in the glass flows through the gummy bear’s semi-permeable membranes. This flow (diffusion) of water from a region of low concentration of solute to a high concentration is called osmosis. The sweets became more translucent partly because the colouring had to go further in the larger sweet, and maybe partly because some of the colouring dissolved in the water. In the case of the jelly baby, we hypothesised that although water can pass through the (sugar?) 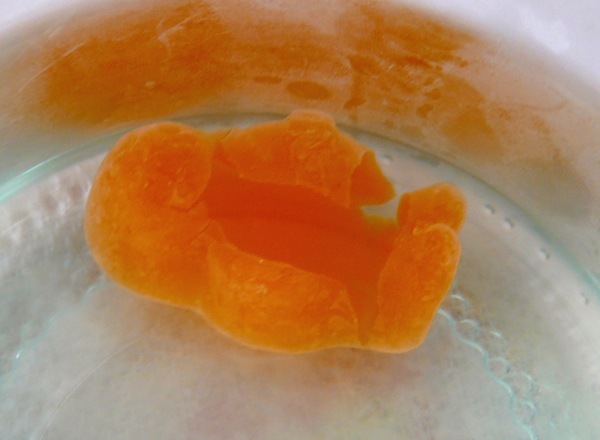 shell, the outside of the jelly baby is unable to absorb water as fast as the inside, causing it to crack. 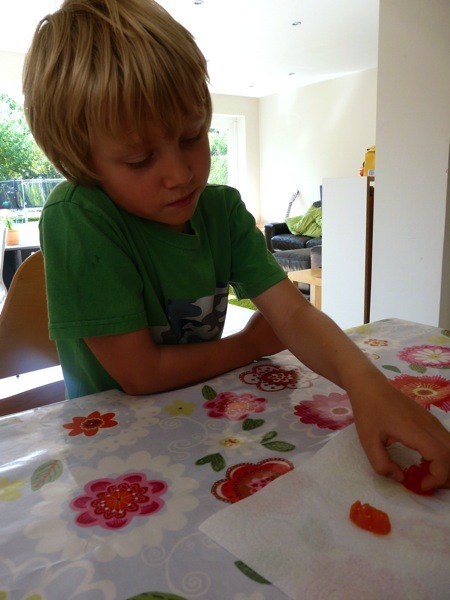 We also came across this exciting jelly baby oxidisation experiment – screaming jelly babies. Sadly not one to try at home! Did you know that as well as being one of Doctor Who’s favourite snacks, jelly babies were originally called “peace babies” as they were launched in 1918 to mark the end of World War I?